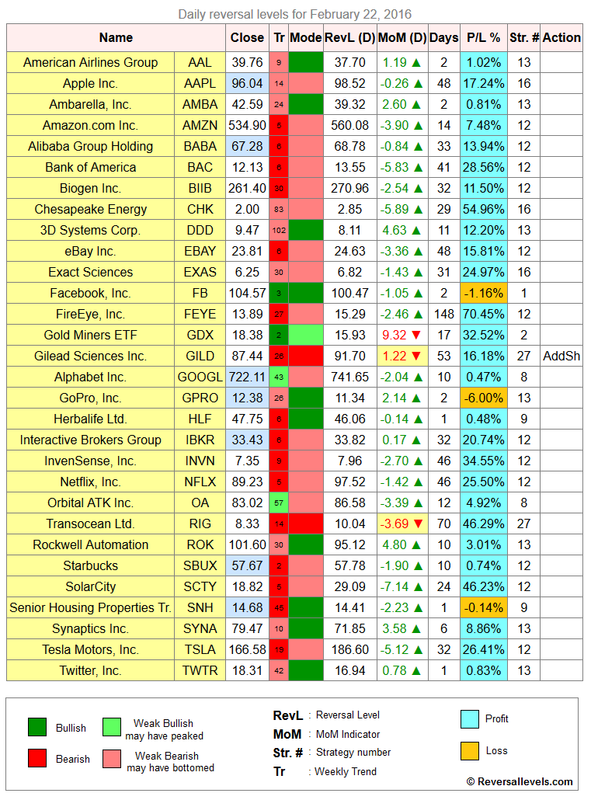 * Today you can pick up a free copy of the daily reversal levels for over 2500 stocks: Click here. * Note: we won't bombard your mailbox with daily advertising. So, don't be shy. You can also enter a fake email. * No major changes in the stock indexes today. * Can add to shorts in GILD. 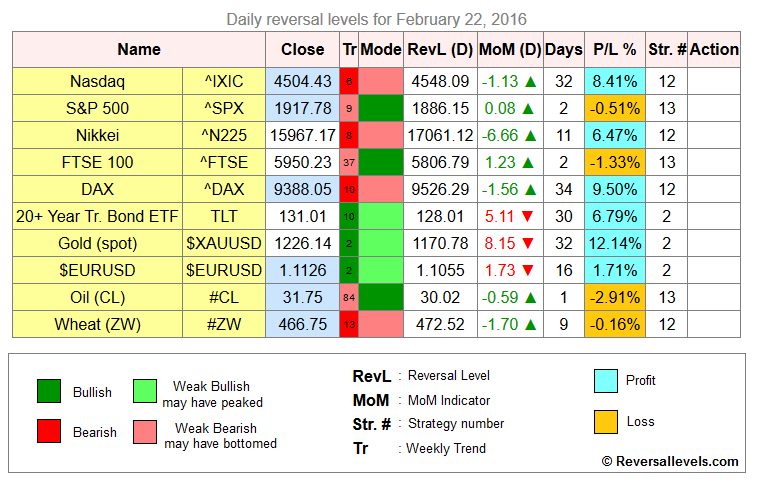 Weekly reversal levels for February 20, 2016.